8. 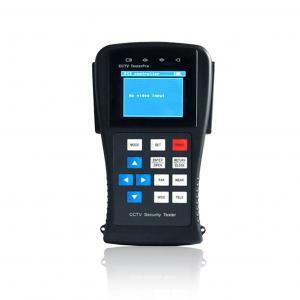 Support more than twenty kinds of PTZ controller protocols. For example, PELCO-P, PELCO-D, SAMSUNG etc. 9. PPTZ address scanning, search up the ID of PTZ camera. 10.Capture the PTZ protocol to assist the setting personnel to find out the control protocol and therefore easily target the problematic equipment. 13.PTZ(P/L & Zoom) Control: Control the status of P/L, zoom in/out the camera, adjust the aperture, foci and setting parameters, run and call the preset. Test UTP cable connection state and display in the screen.